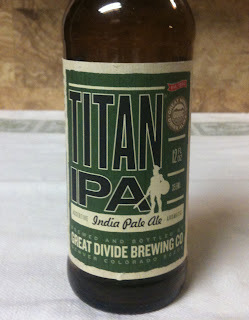 I am finishing up the second week of IPAs with a Titan IPA from Great Divide Brewing Company. 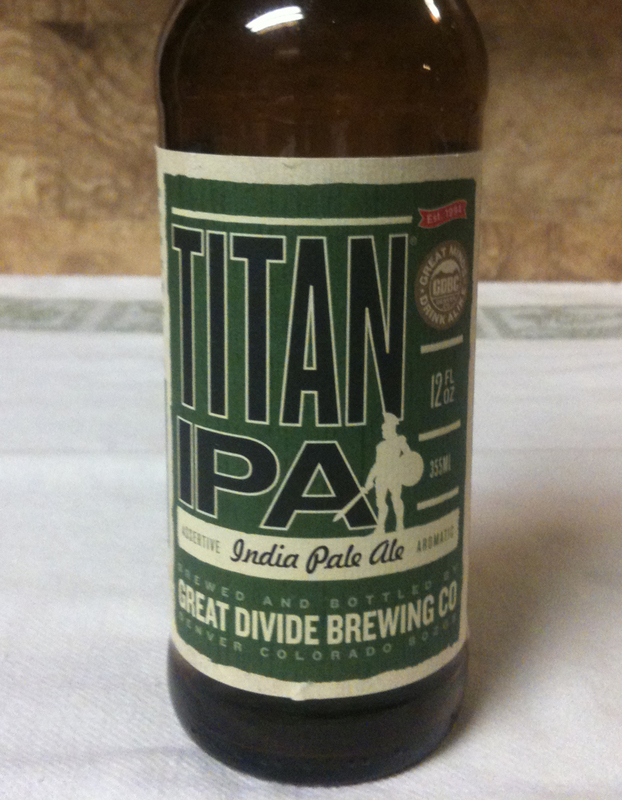 It comes in a twelve ounce bottle and lists 7.1% ABV. The Titan poured with a small head. It is a golden color with a fair amount of orange tint. There was a bit of sediment. The aroma has some citrus, but it is a smoother citrus, not so sharp. 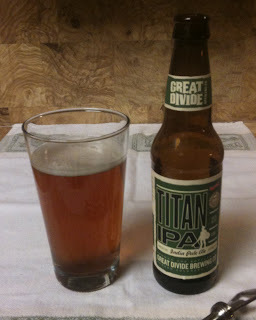 It has a fairly even balance of hops and malt, not standing out as overly hoppy. It has some of the smoothness or mellowness of some higher-alcohol IPAs, even though at 7.1% it is not that high in alcohol. I would say it is on the strong side of medium in flavor strength. The aftertaste has some spice, and very little bitterness.